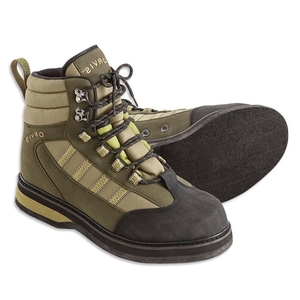 Orvis Encounter Felt Wading Boots. All entry-level wading boots are made the same way, right? Wrong. Meet our Encounter boot. Built using welted construction, with a scratch rubber toe cap, fully lined interior, and durable felt sole, the only thing entry level about this lightweight wading boot is the price. In tan/olive. Imported.